The Cyclades offers many enchanting islands and indeed dozens of these are must-see destinations in the east Mediterranean: Santorini, Amorgos, Sifnos, etc. One of these gems is Andros, with its pristine beaches and and breathtaking shores and anchorages such as Plaka Bay, Korthi, Paleopolis, Batsi and Gavro and of course the principal place: Andros port. 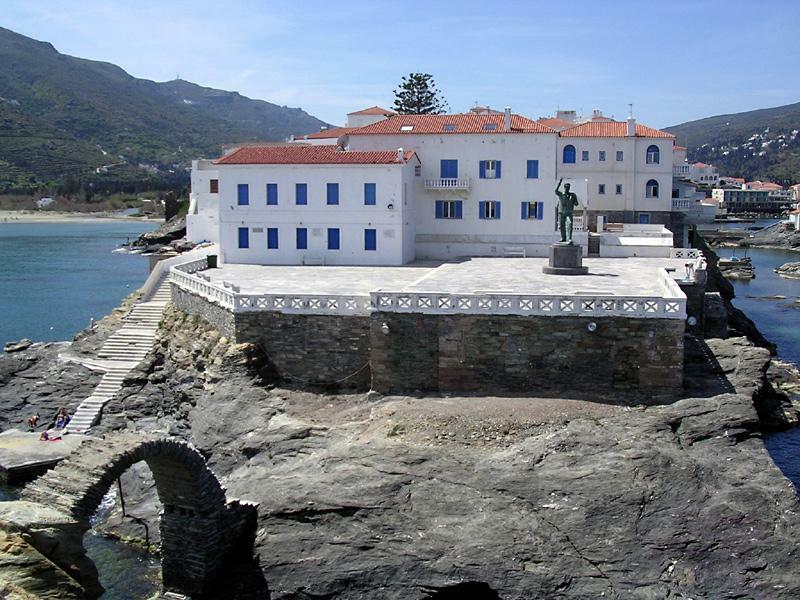 Because of these favourable shores - especially on the secluded south west coast - Andros is a popular destination on yacht charters and luxury cruises. There are various options for yacht charters in these beautiful waters. Most popular - mainly for the freedom and privacy it offers - is the bareboat sailing vacation, which is possible if one of the your party is able to skipper the yacht self. Yet, many opt for the more comfortable and luxurious motorsailers or gulets. These graceful wooden vessels are modern versions of the traditional endemic cargo boats, now rebuilt with only luxury in mind. Naturally, these motor sailers are fully crewed, with captain, cook, deckhands, hostesses and waiters. The best way to enjoy yacht charters like these gulets are with a full charter or private charter. An even more luxurious version of yacht charters are cruises on super yachts and mega yachts, which are equally fully crewed.